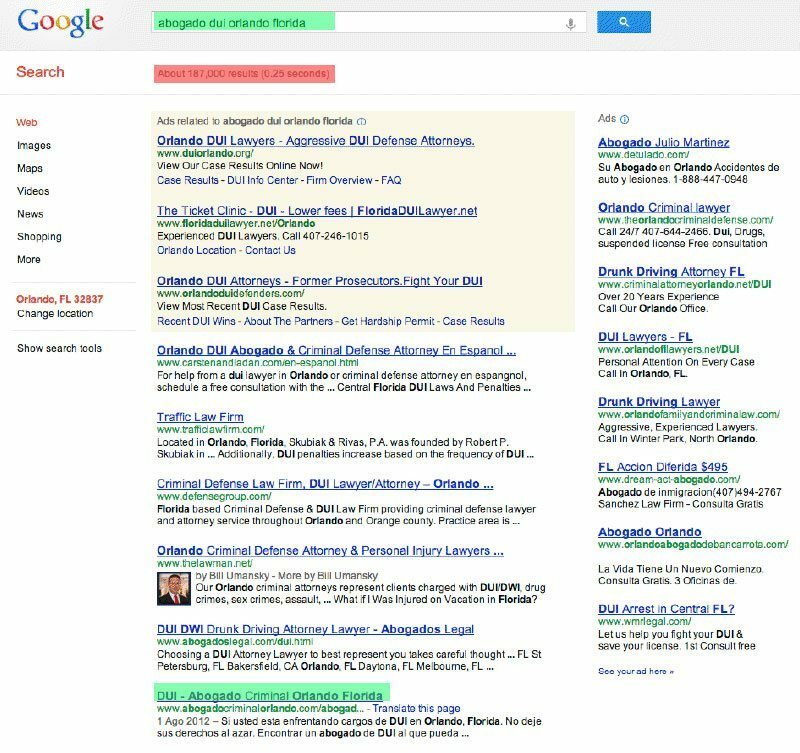 Are you stuck on the umpteenth page of Google, in the middle of very similar looking websites? 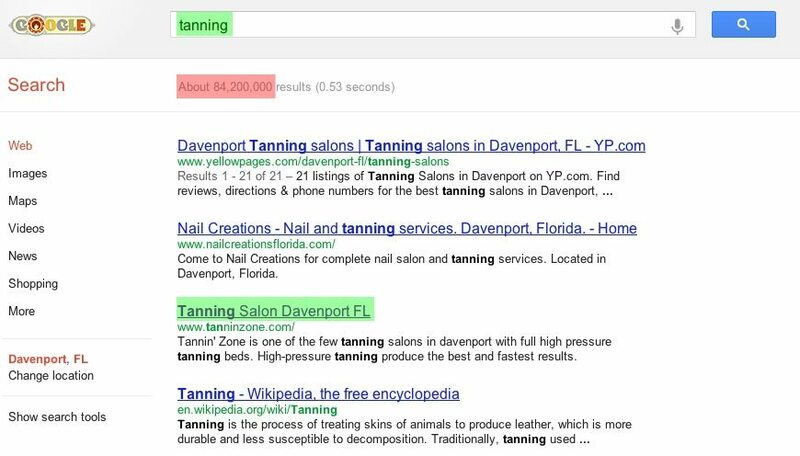 Not hitting page one of Google, and not happy with your current position in search engine results? 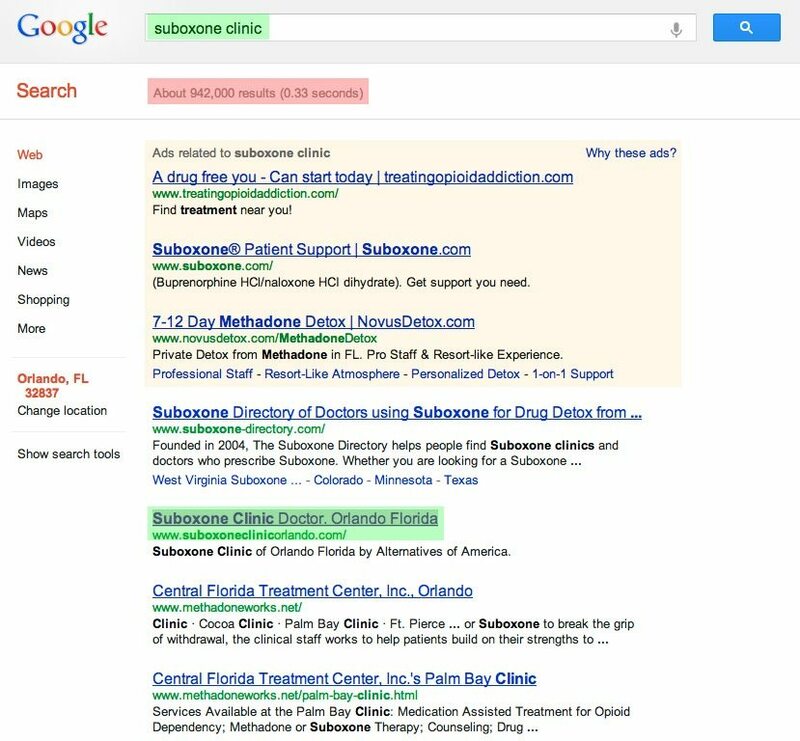 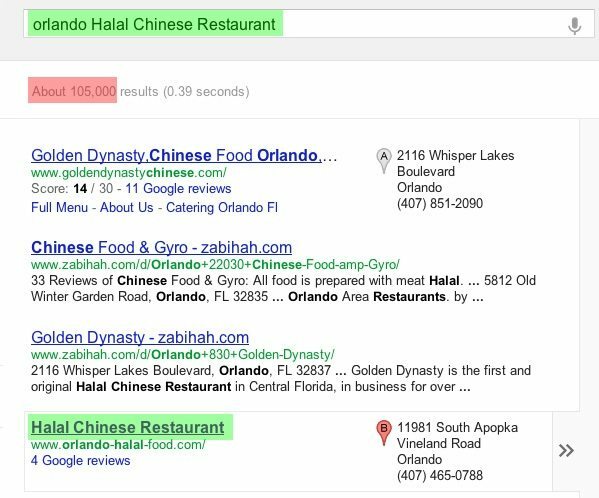 Perhaps local SEO Orlando services could provide the answer for you. 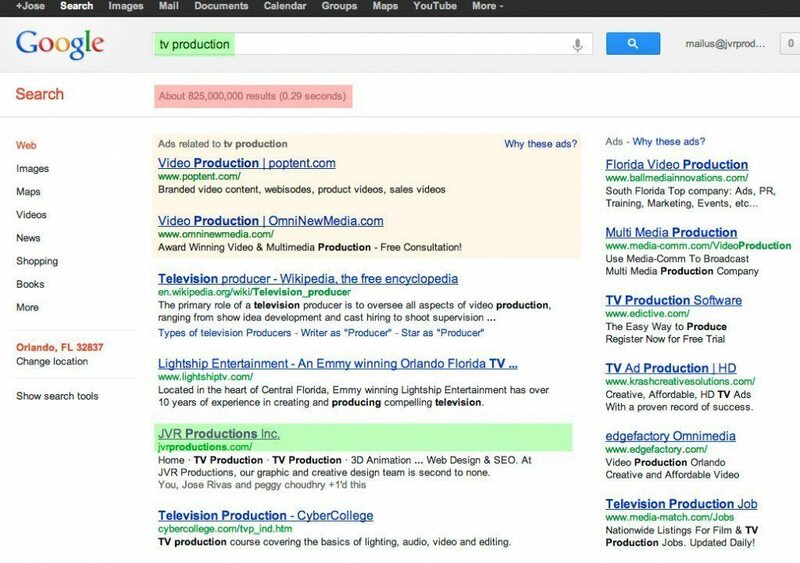 At JVR Productions, Inc, we have the tools and the talent needed to bring your website to the forefront of search engine results. 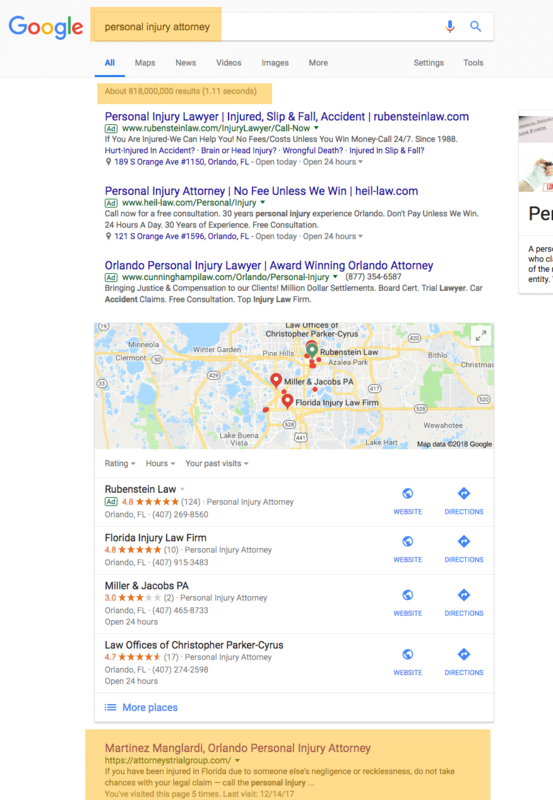 With our PPC and SEO services, we can maintain and promote a highly functional, search-friendly domain and website that is the reflection of you and your company. 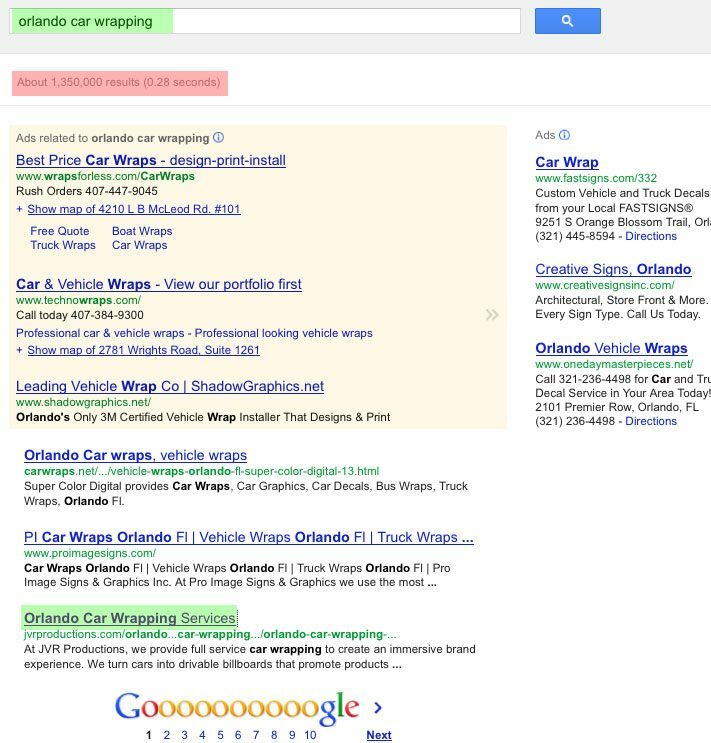 JVR Productions offers full local search engine optimization Orlando services. 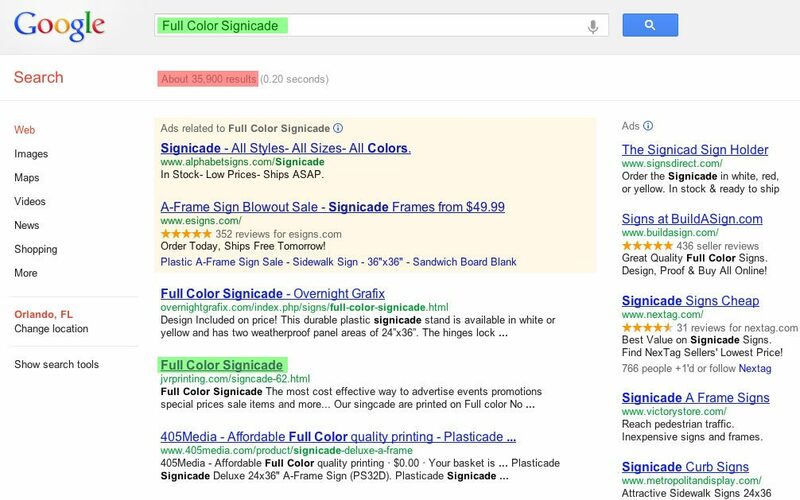 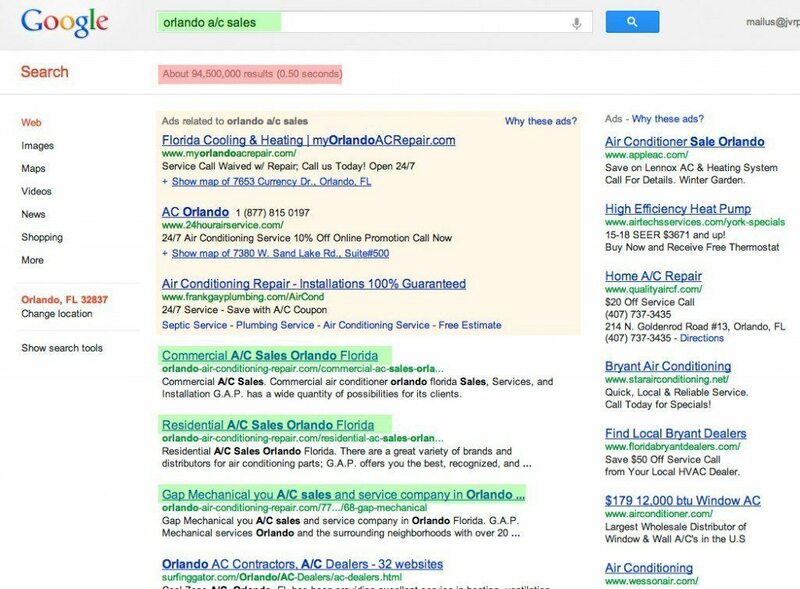 Interested in PPC (Pay-Per-Click) Marketing? 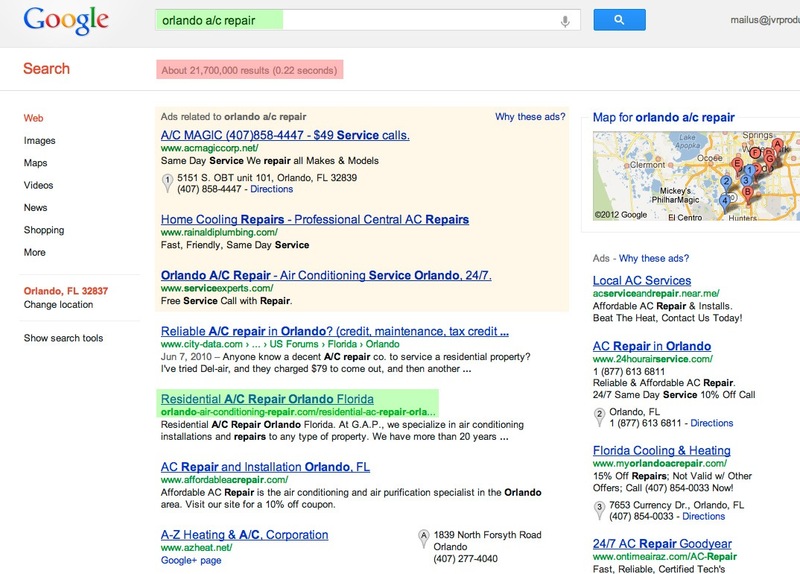 We provide full SEO Orlando services that cover your PPC needs. 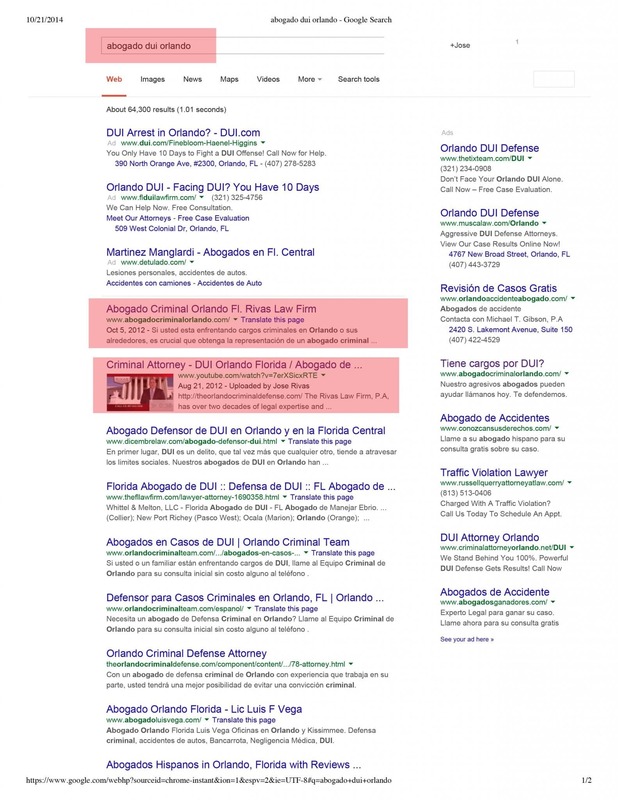 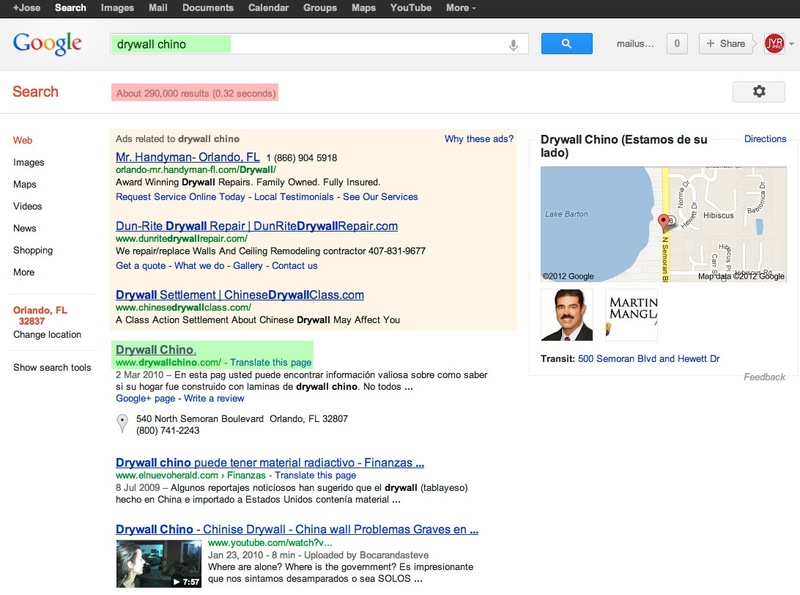 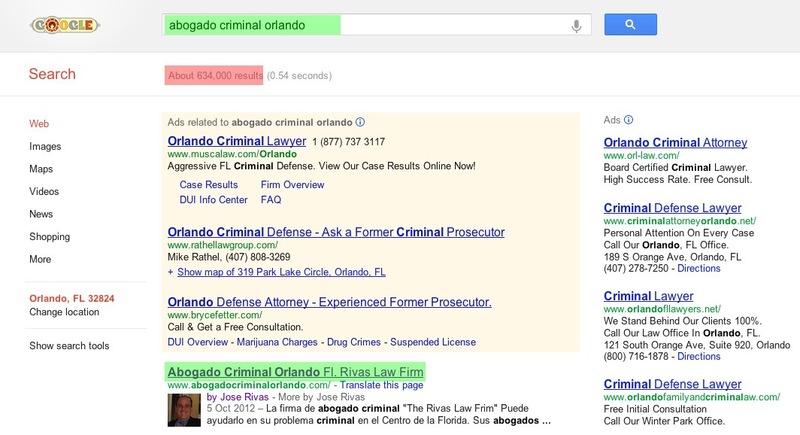 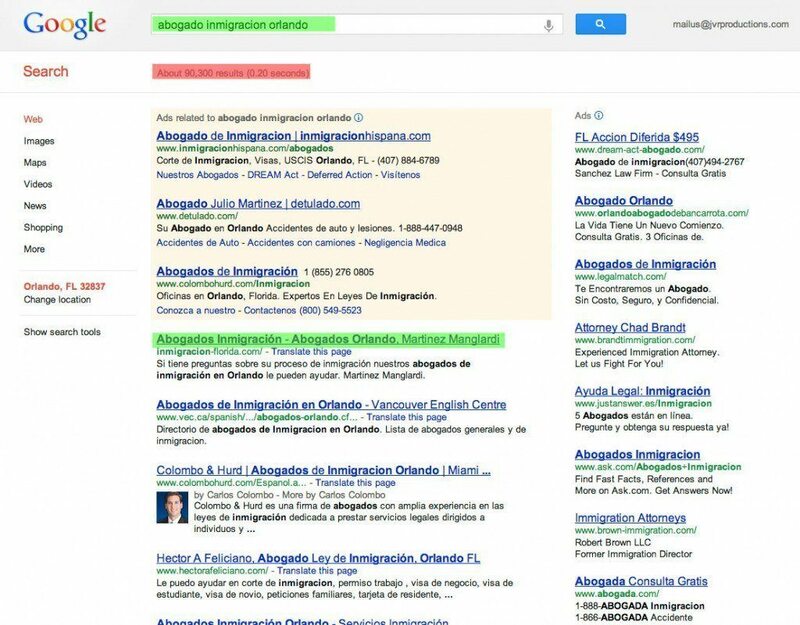 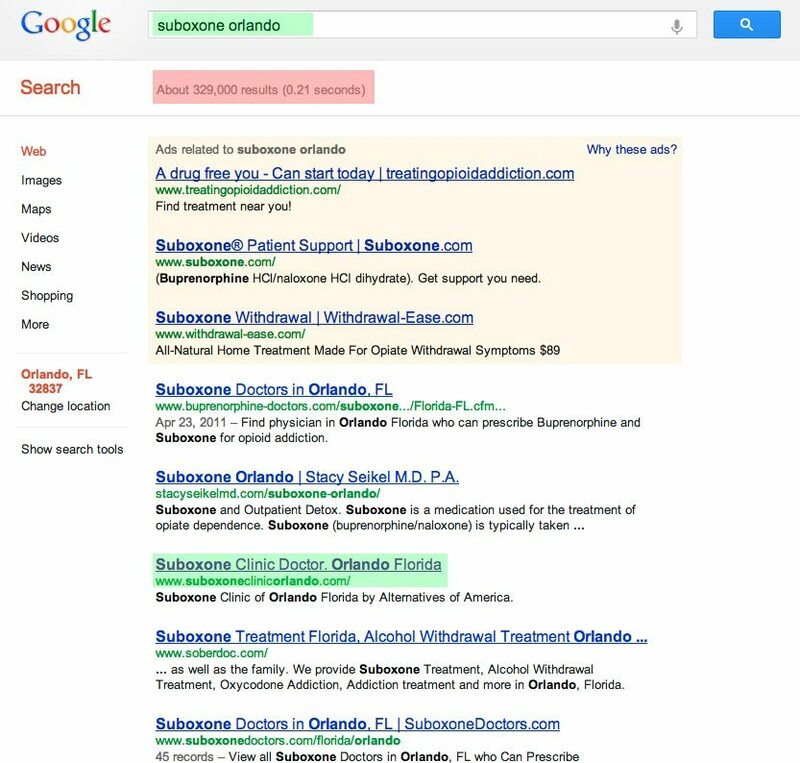 Our SEO Orlando services currently service several clients. 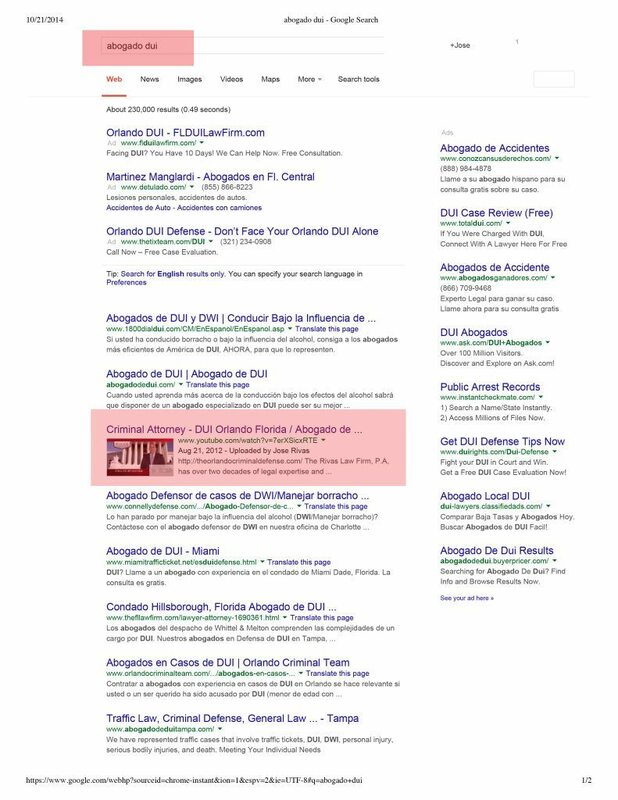 We’re proud to maintain the websites of www.detulado.com and www.martinezmanglardi.com. 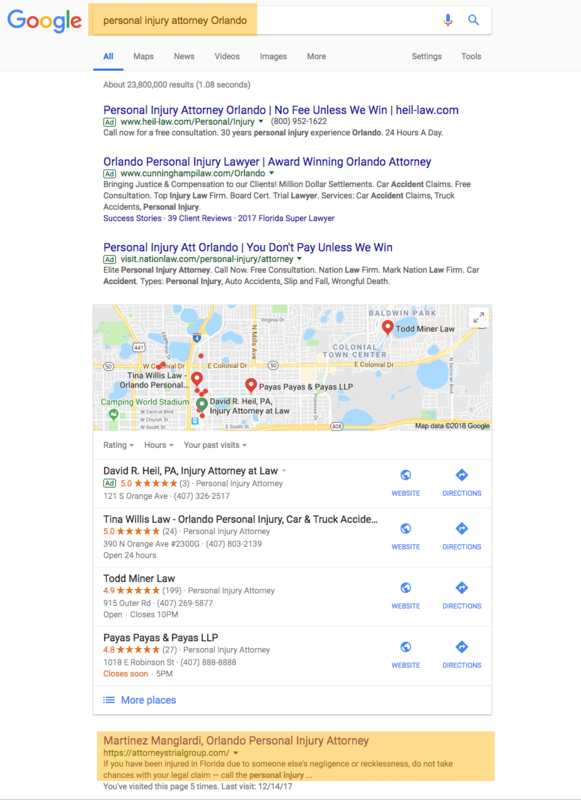 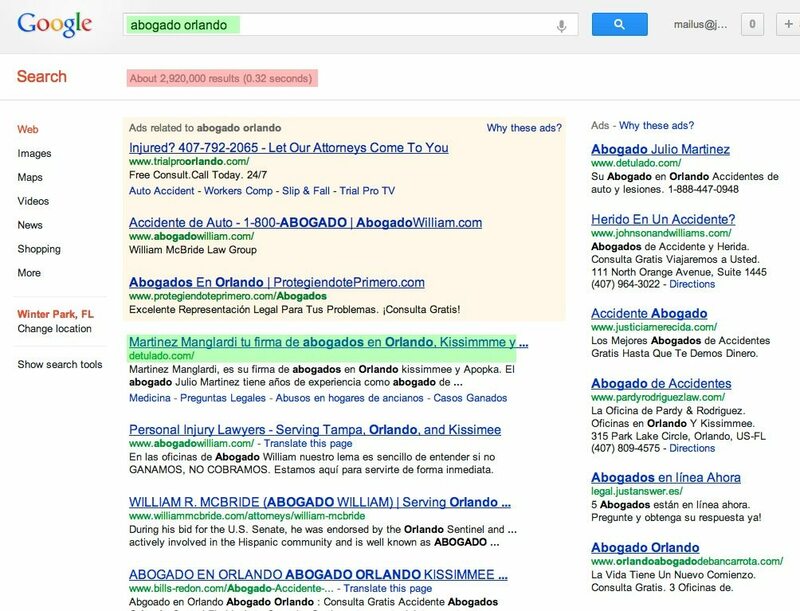 We were able to put our client’s website on the first page of Google after optimizing keywords like attorney, abogado, and other important keywords. 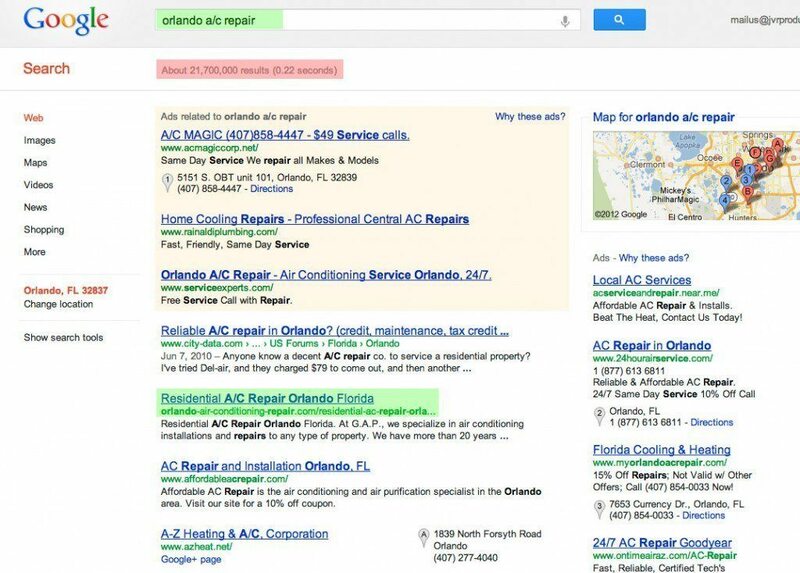 We’ve been maintaining and providing steady SEO and PPC maintenance for these customers, in the cities of Orlando, Apopka and Kissimmee. As a company offering full search engine optimization Orlando services, we promise great things for you and your website. 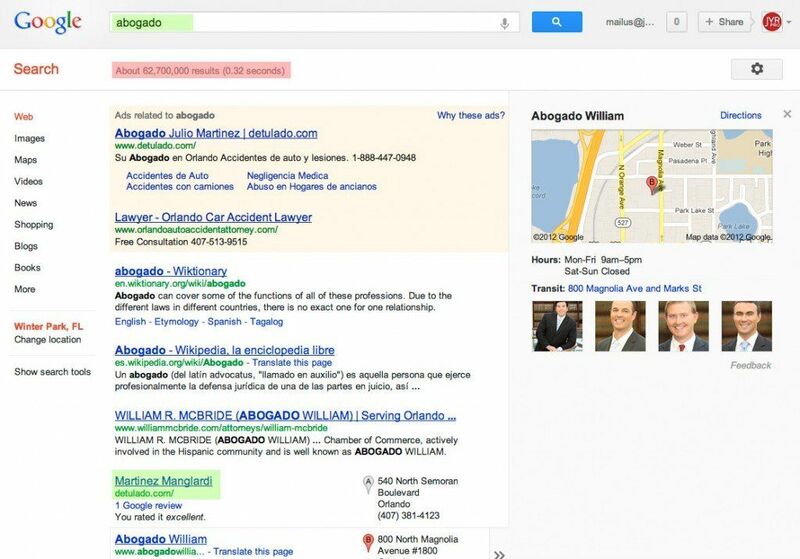 We try to match the request of every client, and we can help you in reaching the goal you’ve always wanted. 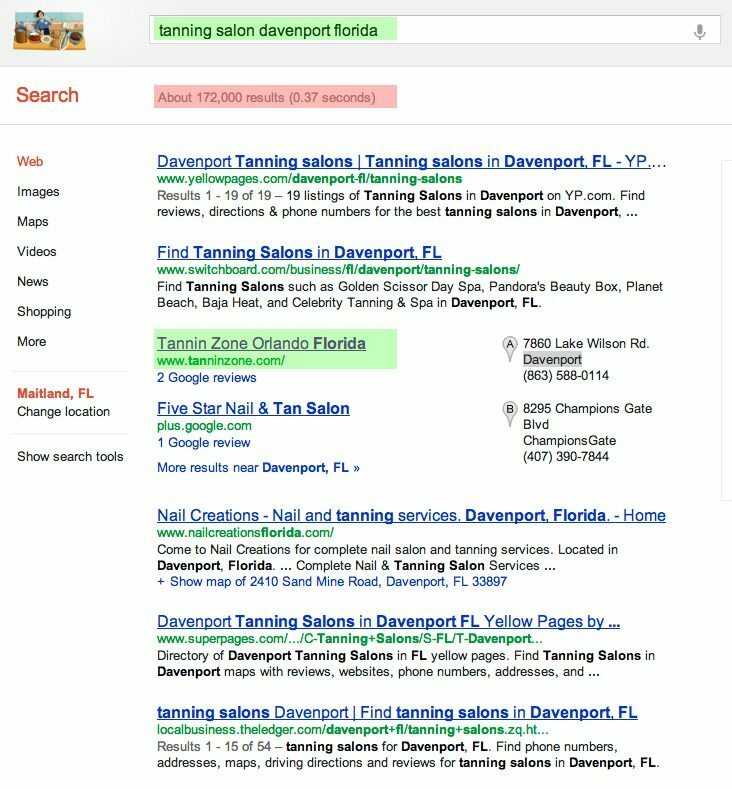 Whether that is hitting the first page of Google, or seeing your PPC campaign flourish: we can help you achieve that goal. 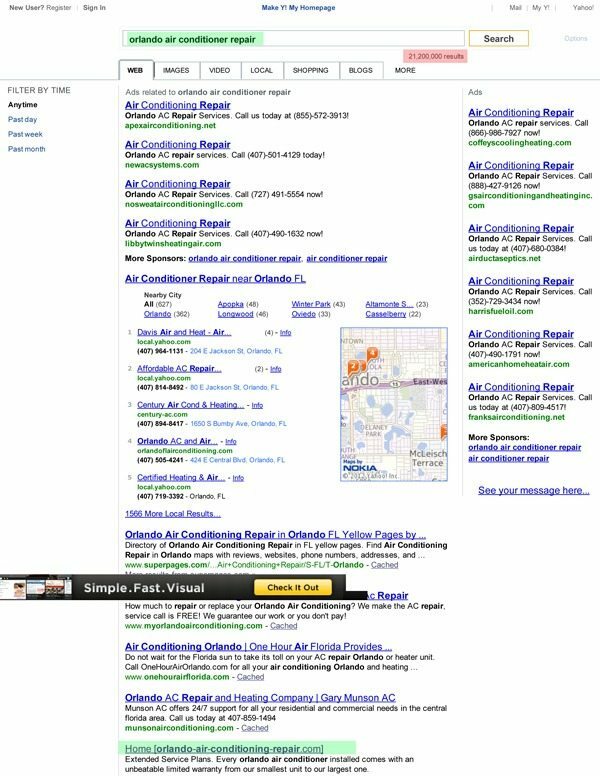 Our guarantee is in serving you and making your goals real. We work hard to make every working relationship count, and we’re here to serve you at all times. 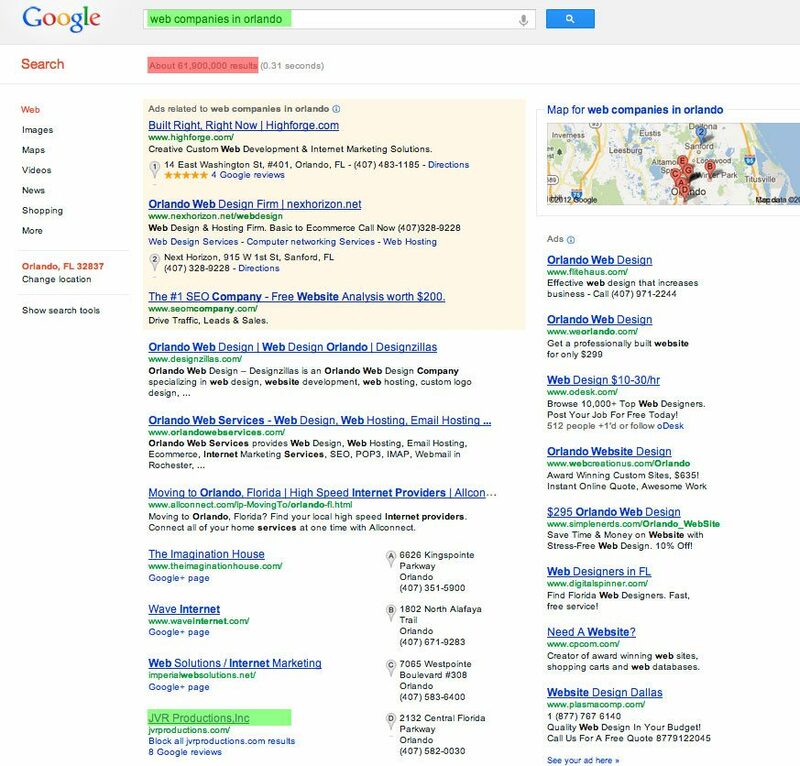 Need SEO done for your website, or looking for PPC management? We can help you out! 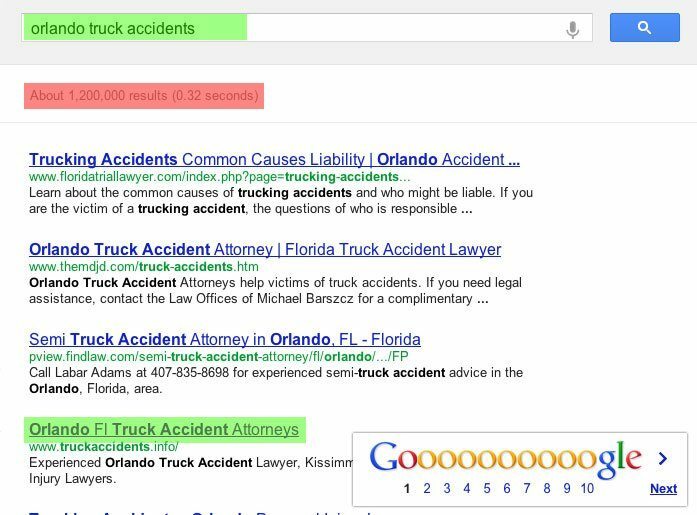 Contact us directly at 407-582-0030.